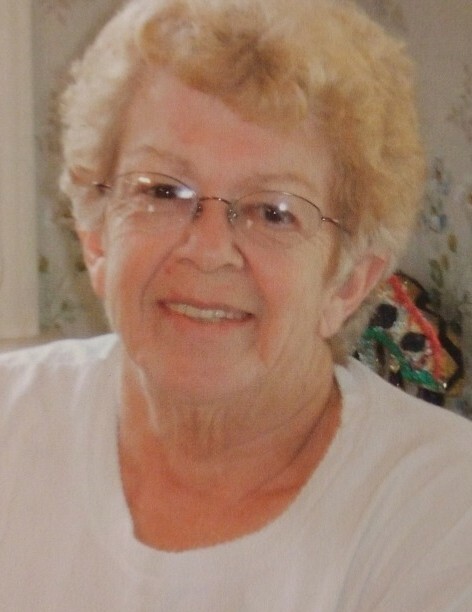 Janice Flora Wittbrodt Speer, 82, of Central Lake, passed away at Meadowbrook Medical Care Facility, on February 1st, 2019. Jan was born in Midland, Michigan, the youngest of 6 children to Leon and Flora (Brown) Wittbrodt. She married Carl Baker in 1954 and they moved to the Detroit area the same year, where they had a large family of their own. In 1970 Jan married Robert Pearson, and added two more sons to the family. They moved to Atwood, in northern Michigan in 1971, where she would raise her family on a small farm. In 1975 they purchased Gordon’s Garage in Central Lake, moving her family to the beautiful town. She married Harland Speer in 1984 and they spent the rest of their years together. She was the owner and operator of “Jan’s place,” a local restaurant. Over the years Jan had many tribulations and had many successes. She had a beautiful spirit that drew people to her. She could entertain for hours, turning her life’s adventures into stories that captivated everyone. Jan is survived by her sister in law Marge Wittbrodt-Hager, her children, Daniel Baker, Greg (Jill) Baker, Cyndee (Ken) Krstich, Bob Baker, Wendy Dawson, Rob Pearson, Daryl Pearson, Kevin Speer, and Kerry Speer, along with many loving grandchildren, great grandchildren, nieces and nephews. Janice was preceded in death by her parents, Leon and Flora, her sister Lorraine (Merlin) Dittenber, her brothers William (Lee) Wittbrodt, Leon (Mary) Wittbrodt, Jerry Wittbrodt, and Duane Wittbrodt. Also preceding her are daughters Kathy Peaphon, Lynda Haggerty, and grandson Eric Shuman. The family would like to thank the staff at Meadow Brook Medical Care Facility in Bellaire for taking great care of Janice for 8 ½ years. Their guidance and support were invaluable during this time. Funeral services will take place Saturday, February 9th, 2019 at 2 p.m., at the Central Lake Chapel of Mortensen Funeral Homes. Pastor Brian Yost will officiate. Visitation will be from 12 p.m. until the beginning of the service. A luncheon will take place after the service. A spring 2019 interment will take place at Lakeview Cemetery in Bellaire, Michigan. Those planning on expressions of sympathy are asked to consider the Alzheimer Research Foundation, 3152 Little Road Suite 146, Trinity, Florida 34655 or Communities in Schools Northwest c/o Central Lake Public Schools, 205 Grove Street, Mancelona, Michigan 49659.